I feel bad for audio techs new to digital mixing. With analog consoles, every console has the same workflow – start at the top of the channel strip and work your way down. With digital, anything is possible. 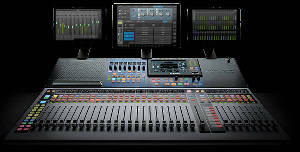 The early rounds of affordable digital consoles like the PreSonus StudioLive and the Behringer X32 used a new style of workflow where the channel is selected and a bank of common controls are used – see the photo below. As the market of sub-$10k mixers has grown, so has the workflow styles such as with the Yamaha TF series. What I see coming out this fall is an indication of the workflow variety and console configurations for years to come. Are any of the new configurations worth the purchase price? I have my opinions. Mackie’s new Axis system requires their Input-Output box, the Axis console surface, and THREE dedicated iPads to see what you’re doing. Mackie says the benefit with the system is you can grab one of the iPads and instantly start remote mixing. I attended a demo of it at the WFX conference and then played around with it a bit. Could I mix with it? Yes. Did it have some great features? Yes. If I had my choice between it and other consoles within that price range, would I pick it? Probably not. I’d rather have a console with built-in screens and an optional iPad than one requiring three dedicated iPads. I do believe Mackie has been making great strides in improving their consoles. The Axis system has some nice customization features and I appreciate the physical faders and scribble strip display changes per function selected. New consoles are relying on third party display devices for extending functionality or simply as displays. Is this good or bad? The good news is it makes app upgrades easy – as long as each app upgrade process doesn’t require reconfigurations of any kind. If the software was within the console, it would need upgraded through network or USB connectivity. The bad news is it’s a third party product and while a recent article interviewing folks from Yamaha, Mackia, and PreSonus showed their customer support covers problems with their apps on these smart devices, you’ve still got a few things to consider like operating system upgrades, wireless networking, and general care and protection of these devices. 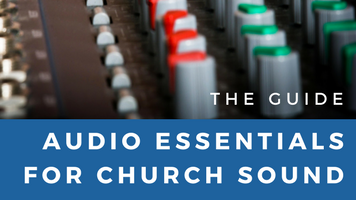 I know a top live audio engineer who keeps QSC Touchmix-16’s as backup mixers as they are small, easy to swap in, and have never failed him. Does it mean I’d grab the 30? Not so fast. This is a predominately screen-based console with a handful of buttons. This means to jump to a channel, you have to find the channel and then select it. 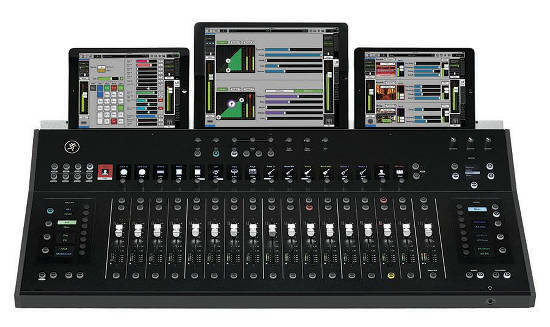 No big deal for 8 or 16 channels, but with the Touchmix-30, that’s a number of channel banks to bounce around. Maybe it’s just me. I like seeing all my channel faders (and signal levels) at one time. At least with the Axis system, an iPad can be dedicated to show these. 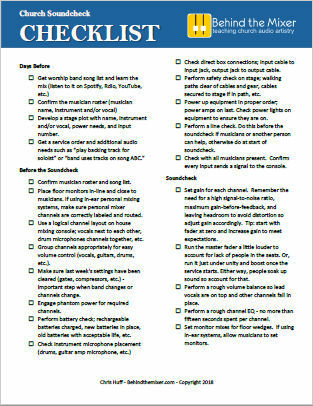 If I have more than 16 channels, I want physical faders because it makes for faster mixing – select the channel and go. At least for me. To the benefit of the Touchmix-30, it does have a very small footprint and for some venues, that’s important. It also has a number of built-in presets, optional iPad interface, and DAW configuration. Finally, the last of the three new consoles is the PreSonus StudioLive III with…wait for it…flying faders (which previous versions lacked) and a whole new design. 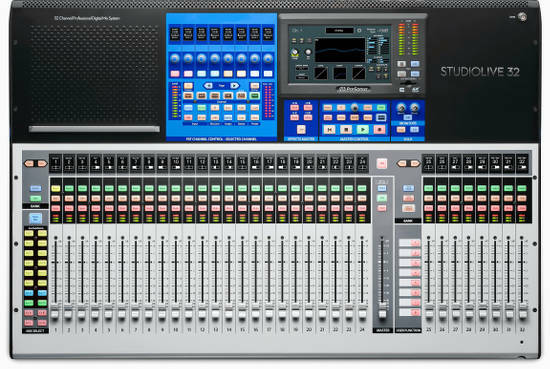 I see the StudioLive III as a whole new mixer, not an iteration in my opinion, because of so many changes (improvements). It’s listed on their web site as the StudioLive 32 under the “StudioLive III Series” but there isn’t a 24 or 48 so who know if it’s a sign of things to come. It uses a similar workflow of the prior models though more tied into their new screen display such as with the X32. It also has configurable buttons and an OPTIONAL multi-iPad display interface (shown in the image at the top of this article). Of the three consoles I’ve mentioned so far, the StudioLive III is the most user-friendly console for the general church audio market. I’ve been around long enough to know equipment that doesn’t work for one person can be perfect for another. 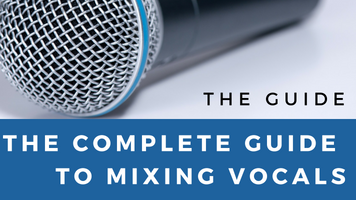 The TouchMix-30 Pro’s small footprint could be perfect for you. Maybe you’ve got extra iPads laying around so the Mackie Axis system is a cheaper purchase. You know what your venue needs. 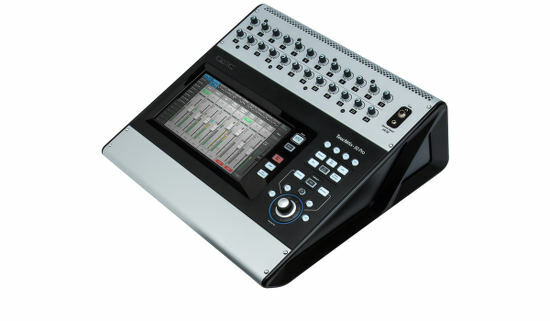 I have set up and mixed on one of these, the QSC TouchMix-Pro. I had to do an awful lot of screen flipping. I configured DCAs so that I could do most of the mixing from one screen, but the DCAs had no meters and I still had to screen flip if I needed to check the preamp levels. At least there are physical preamp knobs. 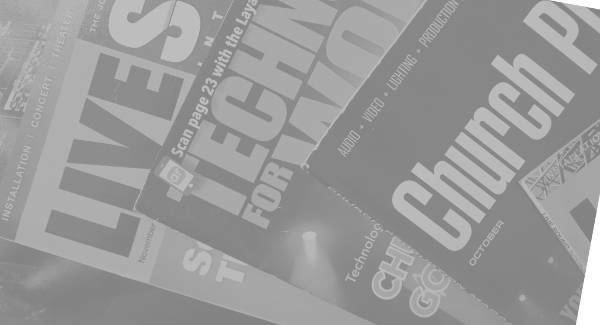 The TouchMix only presented eight channels at a time, the eight DCAs or a bank of eight inputs or auxes. There may have been layer options that I never discovered — I only used the mixer for a few months. I used my iPad to allow access to 16 channels at a time. Unfortunately, connecting with a tablet (iPad or Android) was not reliable, at least not on the firmware version they were on at the time (back in spring, 2016, I think). There was no app to use with a Mac or PC, although you could connect a DAW through USB. It was very easy to accidentally touch down on the screen in places that flipped to a new view and changed the functions of all the faders, especially along the sides. I wouldn’t mind it as a backup mixer, but my preference is for a physical control surface. I want to be looking at what is happening in the room, not staring at a touch screen trying to figure out where to touch. Chris. What do you think the life span of these new digital boards will be? We have had our Mackie 24 for at least 17 years, and it’s still going strong (tap, tap). We have simply out grown it. But words and things like digital, touch screen, computer, motorized faders, soft buttons, etc…. In my mind… Do not seem to translate into longevity of lifespan. Any idea how long digital boards hold up in permanent install church environments? It varies like anything mechanical. This year, we upgraded from a digital Yamaha M7CL to the CL5 only because our needs had changed. That being said, I’d guess the board was at least ten years old and we never had any problems. When it comes to any mixer, analog or digital, I encourage people NOT to buy the first version that comes out. It’s like buying the first model year of a new car. There will be bugs and problems just because those things happen. The first version of the Behringer X32 was like that. Now, it’s a board I recommend. Honestly, as long as you still with top names and not some cheap knock-off mixers (yes they do exist) then you should be able to have a console that lasts you a good long time. That being said, the rate technology improves, while you might still have the same digital mixer in ten years, buying a new one at the 8-10 year mark will yield you more functionality, more options, and a better sound. One caveat, do not leave the mixer running all week. This is the same with analog and digital. Power on equals heat and extended heat equals damage. I’ve seen this happen with analog consoles. Having broke into programming with APL as a first language I found the Touch Mix 8 to more than meet the job for a first digital mixer. I thank Sweetwater for that. The Tapco Mix 60 was our old analog mixer & still used as backup. Just hope I don’t forget setup on it. Good article! I share your preferences about having more controls at your fingertips as opposed to having to page through screens to find them. Besides, I don’t have any portable smart devices. Of these three options, I’d definitely choose the PreSonus. My church currently has a Behringer X32, and it’s not a bad option either. What are your thoughts on the Behringer X32? Mixed. Never been a Behringer fan but the newer X32’s hold up well and offer a lot of functionality for the price. I just finished watching a bunch of YouTube videos on the new StudioLive 32 / III, and I’m impressed. 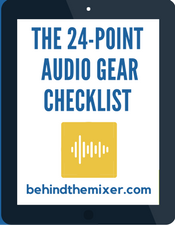 I’ve never been drawn to PreSonus mixers, but I really like the workflow and flexibility of this new series. And the price point is surprisingly low. 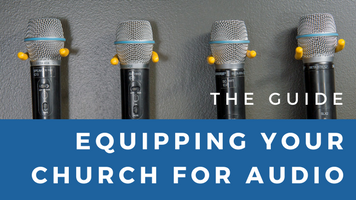 I won’t be first in line to order one (or any other brand new product for that matter – I prefer to wait until after a few firmware upgrades when some of the bugs are worked out), but my church is hoping to go digital next year and this looks like a serious contender. It might even bump the TF3/TF5 off the top of my short list. I forgot to mention is has a built-in recorder or multi-track recording. 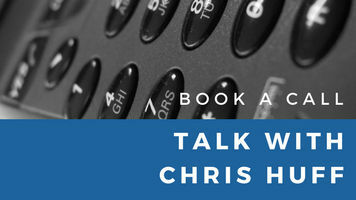 Chris, what sources do you use for audio equipment news? Any in particular? The easiest is prosoundweb.com, it’s a matter of wading through the new product releases to find the stuff worth mentioning here. But I also go to conventions, subscribe to magazines, etc. You really don’t want to know how many new loudspeakers are released every month! lol I believe you. Thanks for the reply.